Italy awaits you in Melbourne for the Italian Wine + Food Festival Sunday 25 June. Three of my favourite things; Italian food, wine and Melbourne – now that is a trifecta you can’t miss! 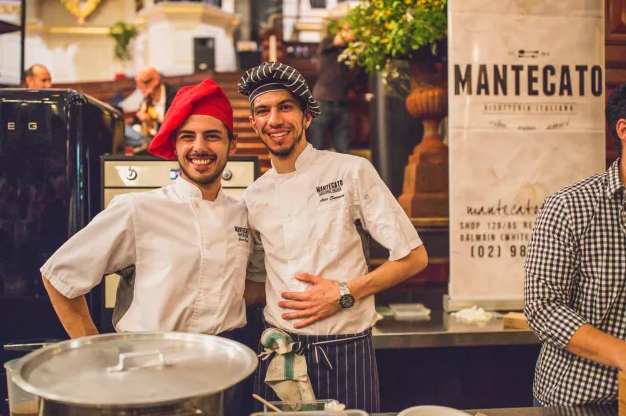 Everything that’s good about eating and drinking in Italy comes together under one roof at the Royal Exhibition Building, Carlton Gardens. Expect pop-up restaurants by some of Melbourne’s top Italian chefs, who will without a doubt make it a day to remember! Melbourne’s much-loved chefs include Rosa Mitchell (Rosa’s Canteen), Johnny di Francesco (400 Gradi), Carmine Costantini (Pasta Adagio) plus Andrea Papadakis and Alberto Fava (Tipo 00). Taste your way through street style fun, with pizza, fresh pasta, and all kinds of delicious Italian food and drink. The Italian Wine + Food Festival is bound to have something for every one of all ages! With over 200 Italian wines by the region, explore the Italian-centric Aussie wines, meet winemakers and importers, and learn all about grape varieties. Take yourself on a journey through the Marketplace, which will be brimming with Italian goodies including Brunetti, That’s Amore Cheese plus many more! If you’re into cocktails, like myself, the festival bar will be serving up Negroni and Spritz cocktails, all day long. Tickets are selling from $40-$135 which includes festival entry, all wine tasting, food sampling, coffee, mineral water, cooking demonstrations, entertainment, and children enter for free! For more information visit Melbourne Italian Wine + Food Festival, and purchase your tickets before they sell out! Next Next post: Australians Food Budget Mostly Spent on Junk Food!